Full inner structure and molded edge makes for a high strength, good fitting fiberglass component. This hood can be easily cut in the center for molding in the scoop of your choice. Hinge mounts are provided. Low tension springs are available for most of Unlimited's hoods. This hood is equipped with small steel inserts firmly molded in for proper attachment to original hinges. Molded edge on all sides provide for perfect fit without sanding, grinding, or cutting. These fenders replace original metal fenders. They will provide lower weight and will never rust or deteriorate from weather conditions. They mount to original locations and no extra body work is required. The famous 69 Camaro style cowl induction scoop has been perfectly matched to the 66 Chevelle hood contour. This hood has full inner bracing and scoop area is wide open underneath for carburetor and air filter clearance. Bolts easily to original hinges and low tension hood springs are recommended. 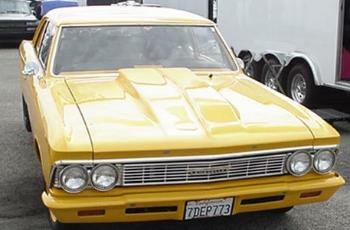 H-702R&L (no picture) '67 Chevelle front fenders. UP22.com the web's giant-giant site for quality fiberglass. Customers agree, fit, price, quality all come together at UP22.com. Please visit UP22.com frequently to see updates, specials and new items. Full pin on trunk lid offers a large weight saving over the stock steel trunk. This component features a minimal type of inner bracing to help strengthen the part, but keep the weight down. 5" snorkel hood which offers molded in base and separate snorkel top. Full inner structure is bonded in and it will bolt to original hinges. Pins are recommended for the front. This hood has full 6 inches of under hood clearance. Scoop has original Z-28 style line don the center. It features full inner structure (except for H786T) for hinge attachment and molded edges on all sides insure a perfect fit. Trunk lid pin on. This trunk lid features rolled edges on 3 sides to insure a perfect fit without sanding or adding fiberglass. This fully hand laid trunk lid is designed with minimal bracing for light weight. Must be used with racing style hood pins or 1/4 turn dzus fasteners. See C106H for bolt on model. Fiberglass doors can reduce the overall weight of the car by over 100 lbs. These doors feature a full inner structure for easy mounting to race hinges and race latches. Lexan windows are recommended. Original inner door upholstery can be installed. Street or strip, everyday driving, or weekend racing, this hood can be used to provide lasting durability and a perfect fit. Full inner structure provides for light weight and high strength as well as a sturdy place to attach original hinges. Overall height is 5". 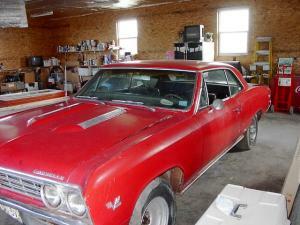 Original big block SS hood replica. This hood has the raised areas for easy attachment of original SS louver vents. It features full inner structure for hinge attachment and molded edges on all sides insure a perfect fit. Louver panels not included. 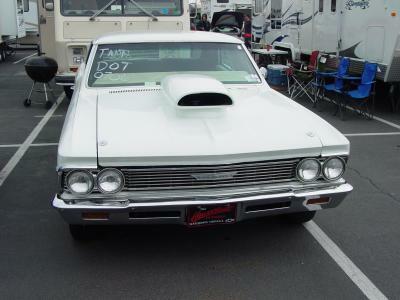 Cowl induction hood for 67 Chevelle. Features 2-1/4" extra clearance over stock flat hood. Scoop overhangs back of hood. Rolled edges on all sides. Full inner structure for maximum support. Bolts to hinges in the back. Scoop style is same as 69 Camaro. This hood features a molded edge for perfect fit and a full inner structure for strength. Small steel inserts are firmly molded in for hinge mounting. Original shaped indents are molded on to provide exact locating of SS insert panels. Insert panels not included. 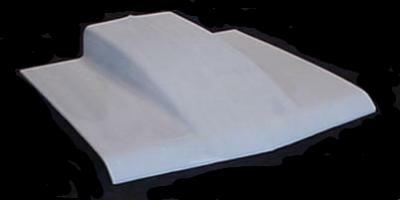 Fiberglass inner fender wells reduce weight, reduce road noise, and will not rust or corrode. These will bolt to original locations and are a full size replica of the original inner fender wells. SS louver panels are fiberglass reproductions of original panels. These are designed for bonding on to a fiberglass hood. Vents are not cut out. Mounting studs are not provided for mounting to a steel hood. 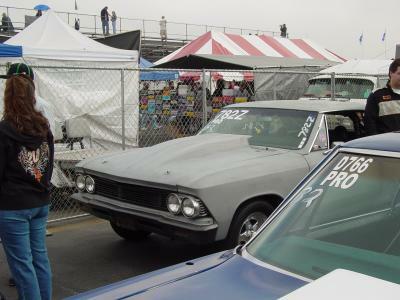 Front and rear fiberglass bumpers for 1966 Chevelle. You can install these bumpers directly to original bumper brackets or install to lightweight fabricated brackets. Paint color of the car or flat black. Each bumper weighs approx. 3 pounds. Has brackets for mounting parking lights (1" long and full length of parking light opening). This panel has original vents blanked off. It offers light weight replacement for racing application. Original mounting locations can be used.UP22.com the web's giant-giant site for quality fiberglass. Customers agree, fit, price, quality all come together at UP22.com. Please visit UP22.com frequently to see updates, specials and new items. SS 396 production dipped to 63,006 units for 1967. A blacked out rear cover panel became standard on SS 396 Chevelles. 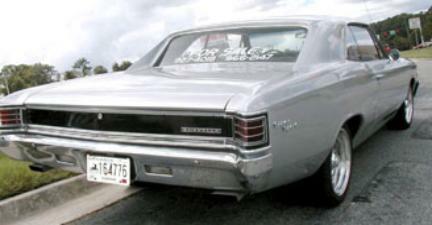 The "Super Sport" emblems were stacked on the rear quarter panels. 1967 was the first year for an "SS" steering wheel in SS 396 Chevelles. Twin "hood bulges" with non-functional grills were carried over from the 1966 model. The tachometer was moved to the upper left corner of the dash. It blocked the view of the gas gauge and left turn signal indicator. The turn signal indicator was added to the face of the tachometer. The three speed turbo-hydromatic transmission (RPO M40) was now available as an option in SS 396 Chevelles and El Caminos equipped with a big block. Chevrolet did not build an SS El Camino in 1967, but it could be ordered with every option including a big block, without the "SS" emblems. 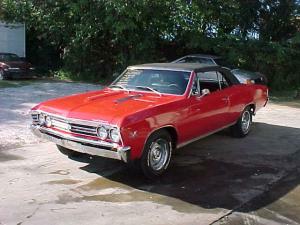 New for 1967 SS 396 Chevelles were power front disc brakes. Option (RPO J52) included 11" discs and Bendix four piston calipers. F70 x 14 wide oval tires were included with the SS 396 when optional L34 and L78 engines were ordered. 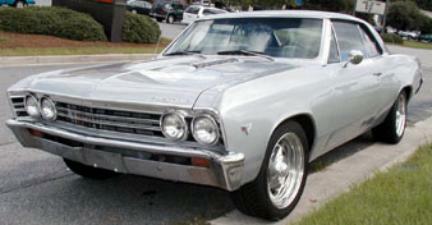 Only 612 Chevelles were ordered with the L78 SS 396 (375hp), and were listed as a dealer installed option.